When Ellen Hughes’ son Walker tried a new medication, it was supposed to help him calm down. It wound up doing the opposite. Thirty-three year old Walker became agitated and violent. Walker has autism and struggled to communicate what was going on. But his mom Ellen knew they had to get to a hospital. When they arrived at Loyola University Medical Center near Chicago, Walker bit Ellen. That’s when they encountered Public Safety Sergeant Keith Miller. 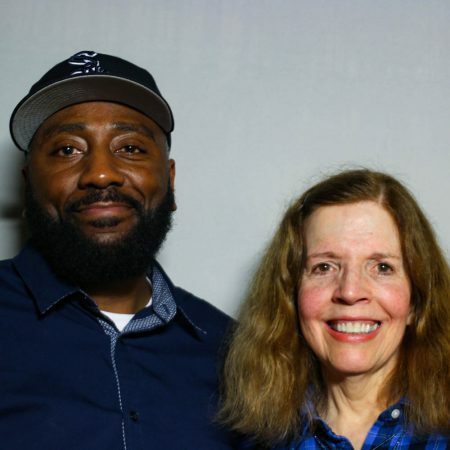 At StoryCorps, Ellen told Keith how he helped her son — and herself — get the care they needed that day. Originally aired April 12, 2019, on NPR’s Morning Edition.